There are seven primary Canary Islands and the difference in landscape and terroir on each of them is astounding, offering everything from beaches, forests, deserts, and even a 12,000 ft volcano! 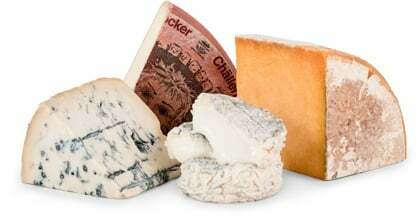 Each island’s own microclimate is a critical influencer on the cheeses produced there, as the land, air, and microflora of each island is unique and alters the taste of the milk as well as the aging of the cheese. Grupo Ganaderos de Fuerteventura, makers of Smokin’ Goat, is a second-generation family dairy located on the island of Fuerteventura. They now own their own herd, but also work very closely with over 40 farms on the island of Fuerteventura, many of them very small farming operations. Each cheese produced is made with goat milk from the indigenous Majorero breed, known to produce very creamy milk and caramelized, toasted flavors in their cheeses. We discovered this rare gem for the first time at the American Cheese Society conference and competition, and were caught a bit off guard by its flavor and texture. Smokin’ Goat is aged just 30 days and as the name would imply, is a semi-soft smoked goat's milk cheese. Its texture is velvety and the taste is mild but flavorful. 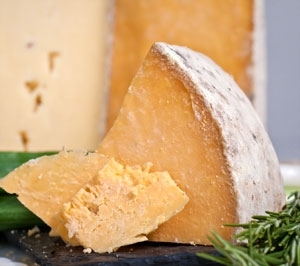 Our curation team feels that the cheese’s smokiness helps to highlight toastier notes in the goat's milk. The flavor lingers long on the palate with hints of wood, smoke and nuttiness. Smokin’ Goat pairs well with cured Ibérico meats. A clean, crisp, acidic and slightly sweet Sauvignon Blanc is also a typical pairing with goat cheeses. This cheese’s smokiness will also pair well with the sweetness of fresh fruit (think mangoes) and membrillo (quince jelly). The importers of Smokin’ Goat suggest toasting it for a bit in the oven and enjoying it with farmhouse crusty breads and bold red wines like the 2015 Black Pearl Cabernet Sauvignon-Shiraz blend featured in our Bold Reds Wine Club.